As a tech savvy person, my fingers are always itchy to try out any new app launched for the purpose of making things easier for people. As the internet has revolutionized the dynamics of buying and selling, more and more people seek convenience in carrying out their tasks, by shopping online. As I understand for any app to be successful and fully live up to its objectives, it takes patience, perseverance, and dedication. Anyone with these combined virtues is guaranteed to succeed. However, it is equally important to know if app developers are working to keep their promises. This is why I often leave reviews as an accurate as possible summary of my experiences with it. In this article I intend to explore the pros and cons of the app The Tracker by I4U, to encourage more fixtures if needed and to appreciate the objectives the app fulfills. What Does The Tracker By I4U App do? The Tracker by I4U News app is a free app designed for the purpose of tracking down items that are hard to find. 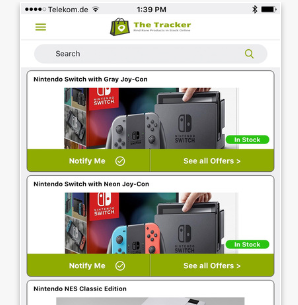 This app keeps a record of inventory, allowing app users to choose the hard to items from the lists available on the app. The app version 1.2 of The Tracker was launched in May, but due to technical errors it was rendered unusable. 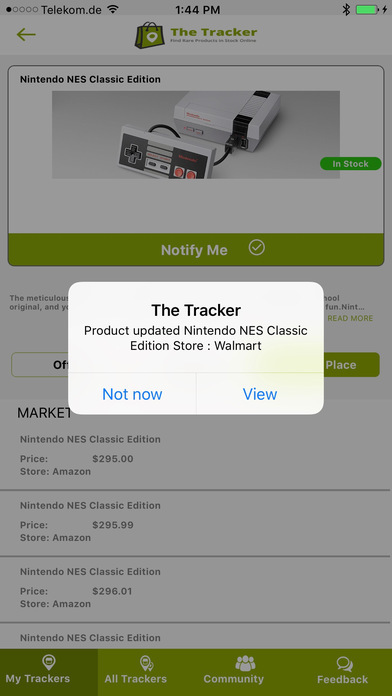 It was relaunched shortly in July, as an updated (improved version) app.The tracker app sends notification to users as soon as the selected items from the lists are available in stores. The app keeps a close eye on stores’ updated inventories to detect availability of products instantly. The app is compatible with both iOS and Android users. It can be found in the Apple iTunes Store and in the Google Play Store. The app is also browsable as a web version. Some of the products included in the lists are Lego Boost, Hatchimals CollEGGtibles, Video Game Hardware, Nintendo Switch, Nintendo Switch Accessories, Amiibo, Consumer Electronics, consumer store goods and much more. I’ve been able to make instant purchases with this app for a number of things after being immediately notified on the availability of those items. It allowed me to track down items from my list of things-to-buy. As shopping online already saves us fuel expense, but unavailability of certain stock items online can force us to venture into the stores in hopes of finding those products. This app does away with that issue. It saves us time and spares us wasted trips as we can rely on the app for notifications as soon as the items are put into stock again in online stores. Cons: There are actually no cons as the updated version has cleared out glitches that we were faced with in the earlier launched version. 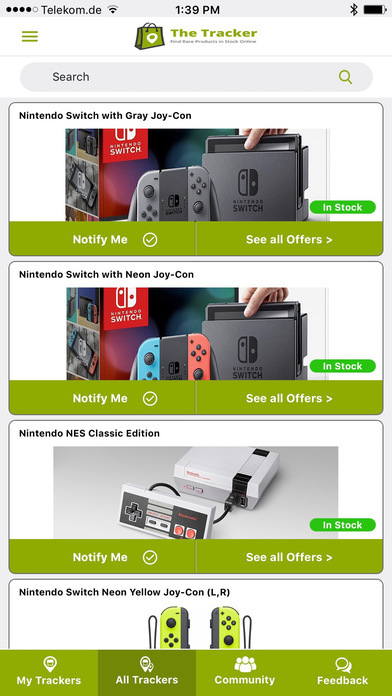 However, there’s still a slight issue of notifying certain items as being available when they’re not. This is can be attributed to the wrong status update of inventory and not necessarily an app glitch. There’s also the app limitation of only including stores in the US and not outside of the US. Overall, the app demonstrates good skills and instant performance. I would give it a good rating as it serves purpose intended by it. For anyone with concerns for not being able to find rare products will definitely find this app useful and worthwhile.